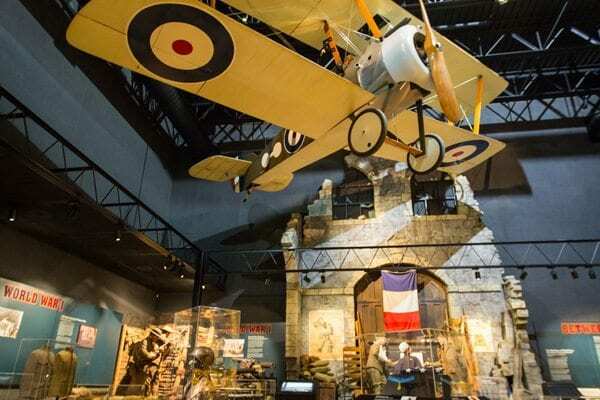 For over one hundred years, the Wisconsin Veterans Museum has connected the past to the present by sharing the stories of Wisconsin’s military veterans. 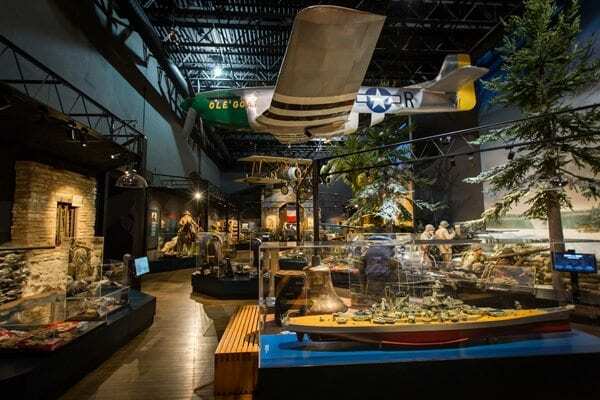 Supported by rare artifacts, full-scale dioramas and electronic interactive elements, the Wisconsin’s military history unfolds in two galleries of more than ten-thousand square feet. 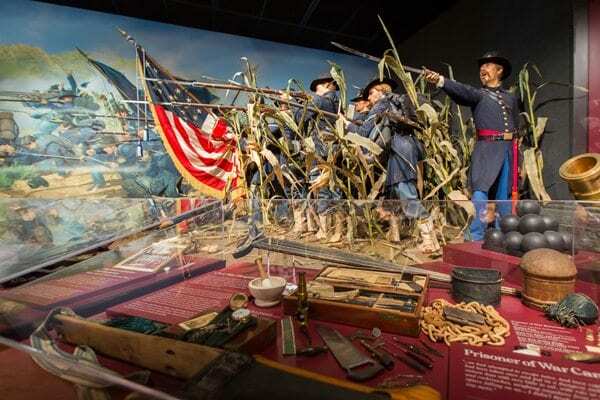 The 19th century gallery showcases Wisconsin’s role in the Civil War and Spanish American War, and features a full scale diorama depicting the Battle of Antietam-the single bloodiest day in American History. 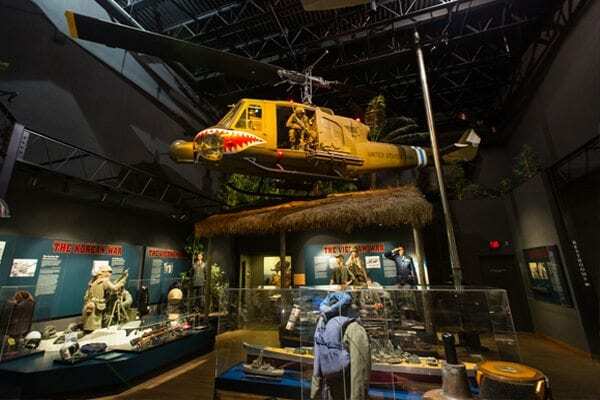 Examples of full-scale aircraft highlight the exhibits in the 20th century gallery, and include an assault helicopter that flew harrowing combat missions during the Vietnam War. 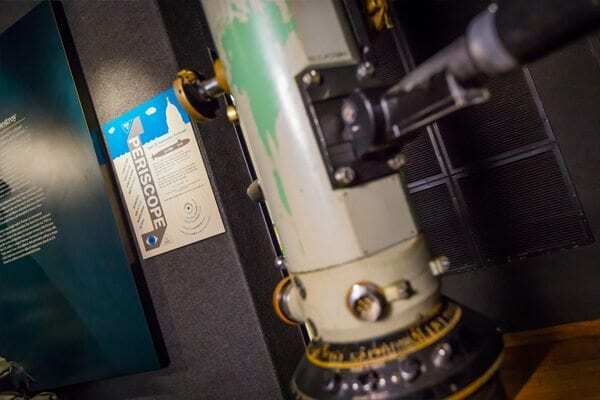 Visitors may also view an exhibit featuring some of Wisconsin’s Medal of Honor recipients, recent events in the War on Terror and the State’s Capitol through a real Cold War submarine periscope. 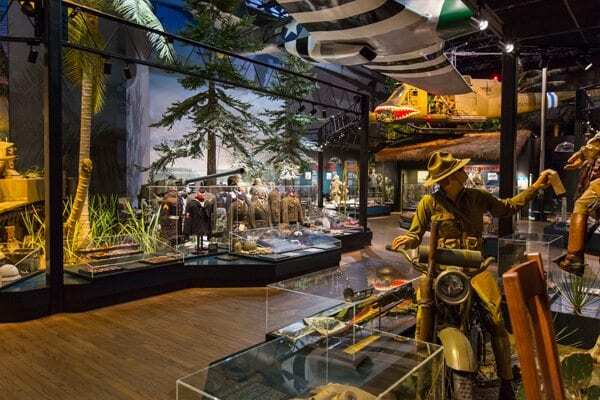 A changing gallery ensures that there is always something new at the Wisconsin Veterans Museum. 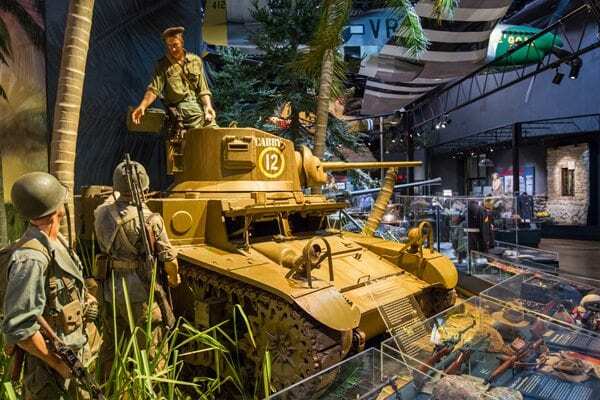 The Wisconsin Veterans Museum is an educational activity of the Wisconsin Department of Veterans Affairs to commemorate, acknowledge, and affirm the role of Wisconsin citizens in American military history, past and present. Look forward to returning soon. Excellent family experience. 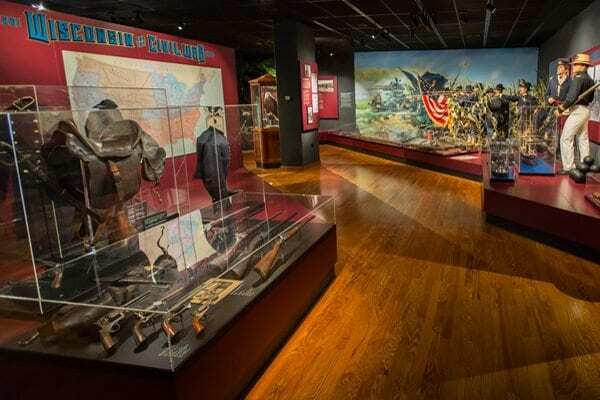 Wonderful place to track your patriotic ancestors back to Spanish American war, Civil War, etc, and connect with the history of WI’s involvement in all the wars and conflicts. Extremely educational and a moving tribute to our Veterans. Beautiful place to visit with children to explore! Wonderful exhibits and free admission for all!!!!! Visited with our kids. Staff was friendly and helpful. My boys loved the interactive displays about equipment/weapons and the helicopter. I really appreciated the presentation and the information provided. Free admission, which was great, and really friendly staff. I was so impressed by the presentation of each war. 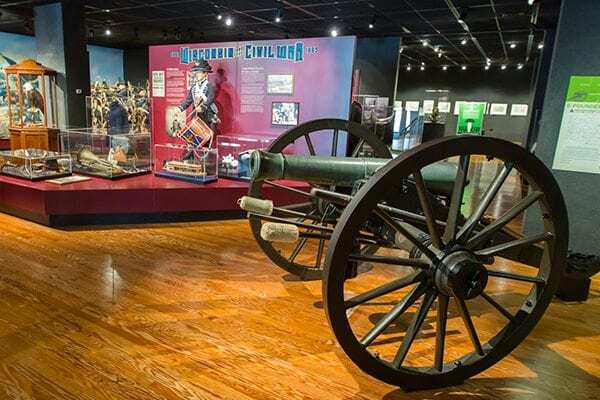 They displayed from the civil war right up to now. It was interesting. And free! Thank you. This place is phenomenal it makes you very patriotic and proud of All soldiers. I’m telling everyone this is a must see on all Madison trips!